I can still hear it now, my mum’s voice telling me, “If you want money, you need to get a job.” So, at about 12-years old I joined the world of work as a cleaner. I cleaned this health food shop in my hometown for an hour every day after school - earning £2.20ph. I know, it sounds like I was getting a bad deal, but for a 12-year old that was riches! I could buy all the sweets and magazines I wanted. Though, I now realise that was illegal. It was this simple attitude that led me to believe you MUST work for money - and work hard at that. Since 12, I was groomed into being an employee - trading my time for a couple of coins. A slave to the wages. No child thinks to question their parents. I whole-heartedly believed what my mum said. So, how did I end up being an entrepreneur? Luckily, I had another role model in my life - my Dad. He’s been successfully running his own business for many years now and even counts my mum as his employee. I’m not satisfied giving up a large portion of my time to help someone else get rich. I want to learn, grow, and enjoy my work. I don’t want to feel the Sunday night dread, knowing that you must go to work on Monday. We live in a world where everyone hates Monday, but it’s a little deeper than that. If we lived our lives the way we wanted, we would love every day - even Mondays. So, why are many of us blindly accepting this reality? I’ve always been extremely ambitious, often telling others that I’ll make my first million by 2020 (and I totally will). If you want to follow your dreams, you need to be extremely driven, otherwise, it’s all too easy to fall into the 9-5 trap. If you’ve got a burning desire or an amazing idea - you need to share it with the world. But, I’ve learned that success doesn’t happen overnight. So, you need this drive, this burning ambition to push yourself forward every day. 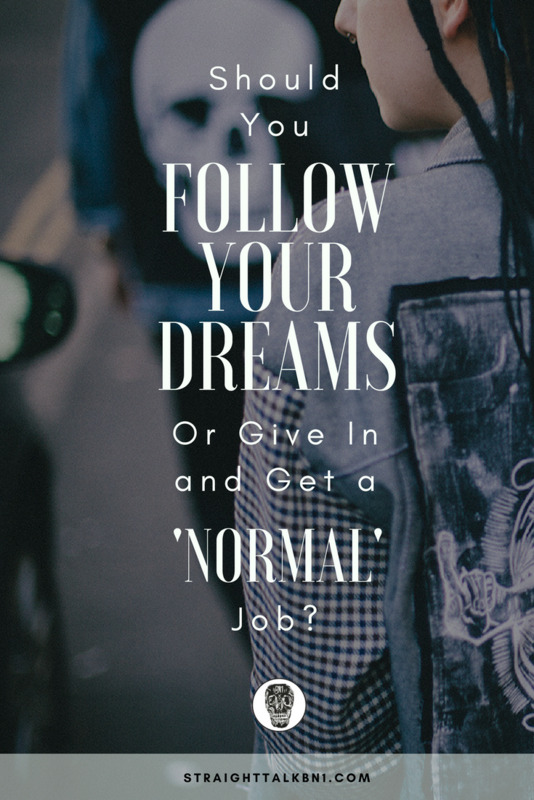 If you’re not ready to do that, give in and get a ‘normal’ job. Going against the grain is everything we are taught not to do, so I think it’s time to shake things up. We’re living in a time where we have more freedom - the world has changed, and you can create a profitable business using only your laptop if you want to. But, you’ve got be fierce about, don’t let self-doubt in. You have to go and out take the opportunity - no one is going to give it to you. Knowledge is power, but without action knowledge is nothing. If you think you’ve got the balls to follow your dreams, then you better get started - or you risk ending up as one of those people who always wanted to do something, but never did.